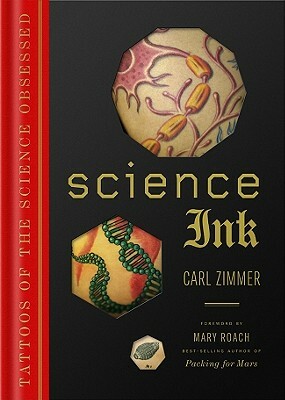 Body art meets popular science in this elegant, mind-blowing collection, written by renowned science writer Carl Zimmer. This fascinating book showcases hundreds of eye-catching tattoos that pay tribute to various scientific disciplines, from evolutionary biology and neuroscience to mathematics and astrophysics, and reveals the stories of the individuals who chose to inscribe their obsessions in their skin. Best of all, each tattoo provides a leaping-off point for bestselling essayist and lecturer Zimmer to reflect on the science in question, whether it's the importance of an image of Darwin's finches or the significance of the uranium atom inked into the chest of a young radiologist. Carl Zimmer is a journalist and lecturer on science writing at Yale University. His numerous critically praised books include "Parasite Rex," which "The L.A. Times" called "capable of changing how we see the world"; "Soul Made Flesh" (one of the top 100 books of 2004, according to "The New York Times" Book Review), and "Microcosm," which "The Boston Globe" called, "superb...quietly revolutionary." He writes for countless publications, including" The New York Times" and "Scientific American," and regularly appears on radio (including on "Fresh Air" and "This American Life") and on TV. His blog, The Loom, is regularly cited as one of the web's best science blogs. He lives in Guilford, Connecticut.